Hello friends. I had a fun day today. Half my day was on the phone with various business phone calls and the other half of the day I was running (not literally) around town taking care of other various business issues. So I may have already used up my word quota for the day. LOL. Therefore, I will give you the shopping list for today's card share. Almost everything is from the Occasions Mini. 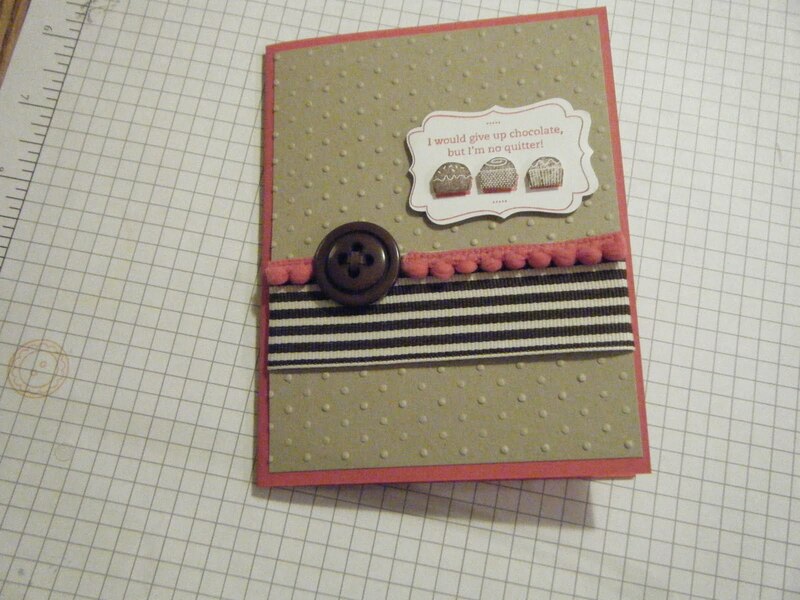 I like the way the card turned out and so did my stamp camp ladies. 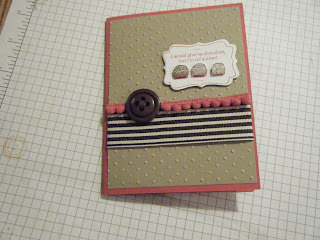 A great big thank you to Penny H. for inspiring me with her card. You can see her card on SCS. I will see you here tomorrow right? I do like comments. God bless you and thank you for visiting. Hasta manana. Adorable Gloria! This is a great stamp set - maybe I should have purchased it.